Join The Danish Tour Guide on a City Walk in Downtown Las Vegas. The tour can be booked either in Danish or English - it doesn't make a difference. The tour will be fun, informative and give you a good basis to start off your Las Vegas vacation. The tour is approx. 3 hours, and will be by foot. The tour is private so if you have special needs or wants please let us know in advance and we will see if we can accommodate them. 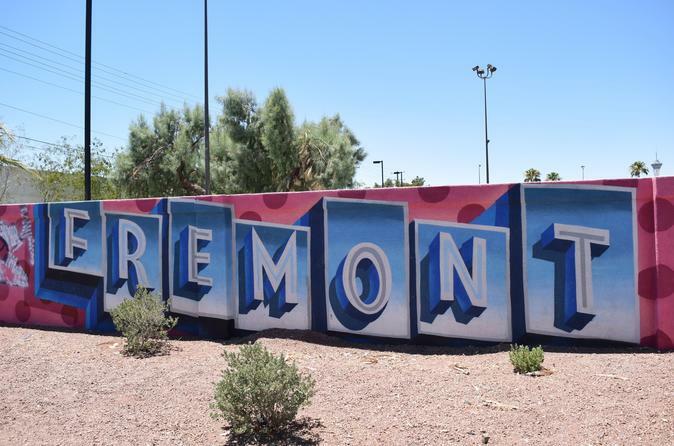 We will focus on Downtown Las Vegas in the area around Fremont Street Experience so as to introduce you to the start of Vegas story ... and it will help you appreciate what the City is today! We will meet at appointed location and start the tour immediately thereafter. The tour is private, and somewhat customize-able however we will follow a route that makes sense to get a proper introduction to Downtown Las Vegas and in essence the rest of the City. It is a walking tour so please be OKAY with walking and standing around for 3 hours. We will spend limited time on restroom stops or shopping so please keep that in mind. The admission includes a tour guide with 6 years of experience from New York City and Las Vegas. A native Dane who has lived in the USA since 2011.